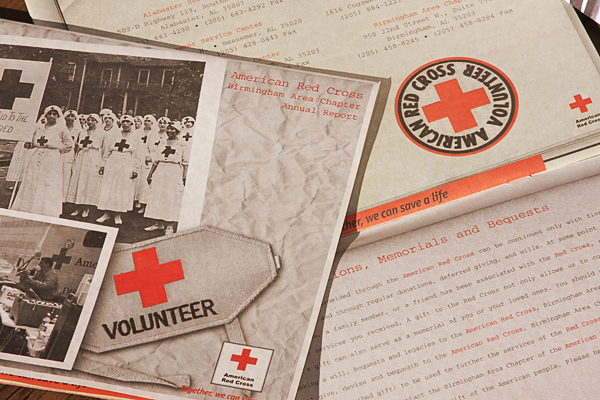 This annual report was a look back at the American Red Cross over the last Century. It was a calendar/annual report that had two images on each month. The two images mirrored each other, but from different time periods. It was showing how the Red Cross has continued to provide help to people even though the times have changed. The report was printed in 2-color, so I used a beige parchment paper to give it a vintage feel.